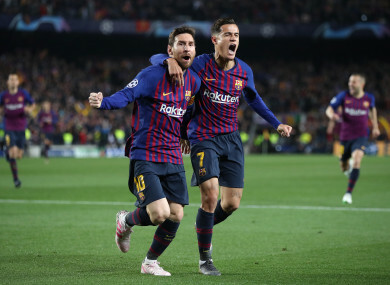 Lionel Messi and Philippe Coutinho celebrate. Email “Lionel Messi-inspired Barcelona dump Man United out of Champions League”. Feedback on “Lionel Messi-inspired Barcelona dump Man United out of Champions League”.